There are myriad of black out curtains on the market today, some tried and true, and some are the latest and greatest. The Deconovo Thermal Insulated Curtain with grommets is a newer model and, as you will see below, one that is already well received. Block out the sun with the Deconovo blackout panel! The Deconovo Thermal Insulated Curtains with grommets are made with 100% high quality polyester. Available in three different size options: 42”x 63”, 42”x 84” and 42”x 95”, the curtains are sold in sets of two and contain 6 silver grommets on each panel. The curtains come in 8 different color options: black, brown, dark grey, light grey, navy blue, royal blue, taupe and turquoise. Not 100% blackout curtains, they do say the light will “drip through” and the darker the color the more successful it will be at blocking the light. Today we are reviewing the black colorway. I should say that I only received one of the two Deconovo curtain panels (more on that below) so was only able to install one, but the one I did install went smoothly. Unwrap curtains from package and weave the 6 grommets through the curtain rod, then adjust for window placement. If washing is necessary, no dry cleaning needed – machine wash the curtains on cold and tumble dry low. The Deconovo Black Thermal curtains make a good first impression. The black curtains are sleek, the grommets well manufactured and the silver a nice contrast to the black of the fabric. They are lighter in weight and noticeably much lighter than other curtains I have reviewed. Not quite thin, but on the scale between thin and medium-weight. We have smaller windows in our room, one of which is directly above our bed and incredibly bright. 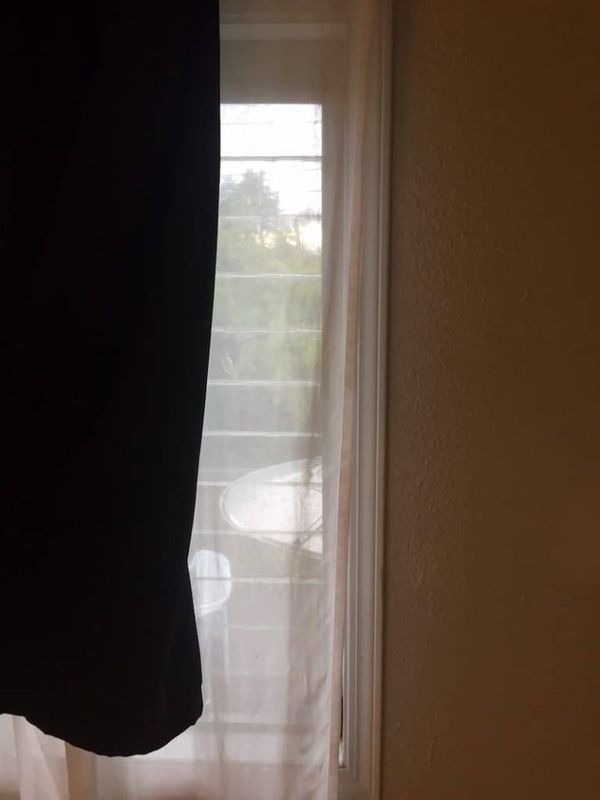 I tried these for a night to see if there having a thinner non-lined curtain would make a difference in both light leakage and temperature – the window is horizontal and difficult to find something that looks good and blocks out the daylight of early morning. In my experience, and as advertised, the curtains did “drip” quite a bit of light through in the morning. Since these are black, there was still the benefit of the room being darker, but the light did seep in and we did not notice a difference in room temperature. 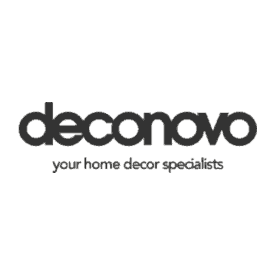 I would not say insulation ranks high on the Deconovo curtain’s attributes. But, I do like the style of the curtains: simple, modern and easily to maintain with an almost wrinkle free fabric. 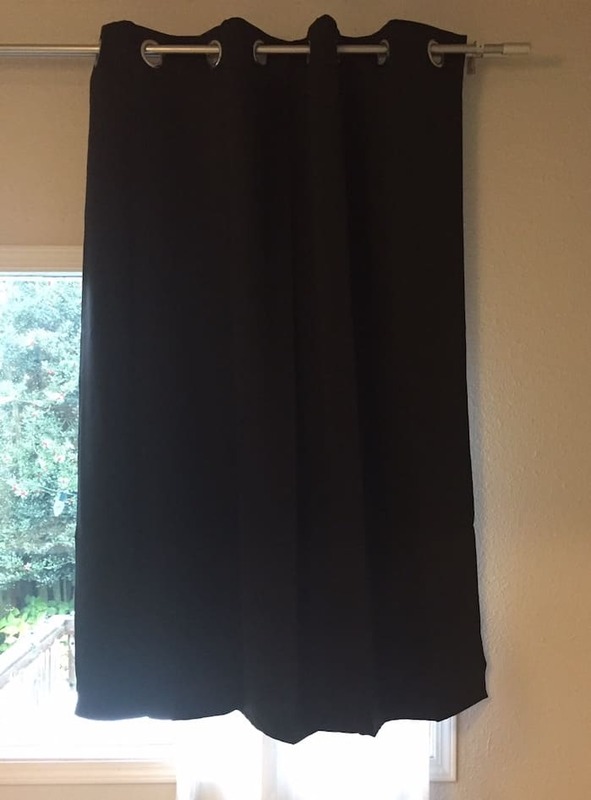 I think the best spot for these black curtains would be as an additional layer for a younger child’s room with small windows. You could put install them behind a darker curtain, as black could potentially be tough to pull off in a room for a babe. I would not use these in an infant or baby’s room, as I always wanted something that allowed AS LITTLE light as possible to get through – and these definitely leak the rays. However, for your still napping toddler or early rising child, these could be a great fit. Sold as a set of two for $14.99 on Amazon, they are the least expensive model I have reviewed. That said, my package did arrive one panel short – so be sure to double check your inventory! A newer addition to the blackout curtain markets, many customers love the curtains for their personal sleep needs. The negative reviews were slim, but this one stood out to me because the customer had the same experience I did – they also only received one panel, instead of the advertised two. While not a product I would likely purchase, based on mishap in inventory and the semi-positive results experienced when using in my own space, I can see where the Deoconovo curtains would be useful. I think the best atmosphere for these curtains is in a child or toddler’s room who is already a solid sleeper, but maybe just a bit sensitive to light. These are not the curtains that will turn a room into a tomb, but the will succeed at making it dimmer during the day and keeping the early morning light at bay. One thing to keep in mind is that while these are one of the least expensive styles I have found, you sometimes get what you pay for. 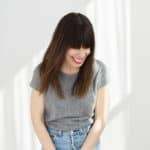 I only received one panel and was surprised to learn via online reviews that I was not alone. 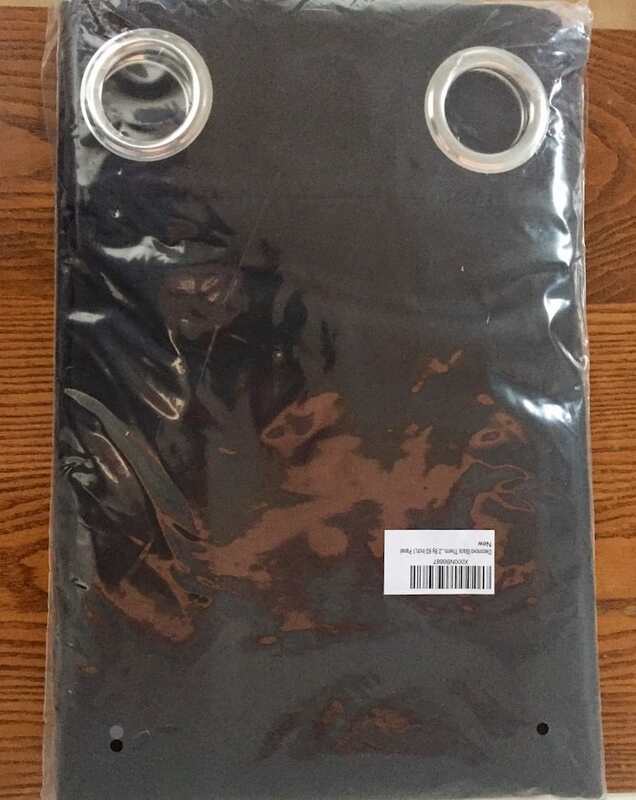 If you decided to order the Deconvo Black Thermal curtains be sure to do your due diligence, order a darker color and ensure that you are indeed receiving both panels! A still napping child or toddler who is a sound sleeper and needs some additional light blockage. The room of an elderly individual who needs extra rest and wants a darker daytime environment.